The Greek God(zilla) believes that the Greeks and in particular, his mother, have shaped a way of eating that no other country can rival. The food is drizzled in olive oil, garnished with feta cheese, washed down with red wine, and best eaten outdoors surrounded by family and friends. 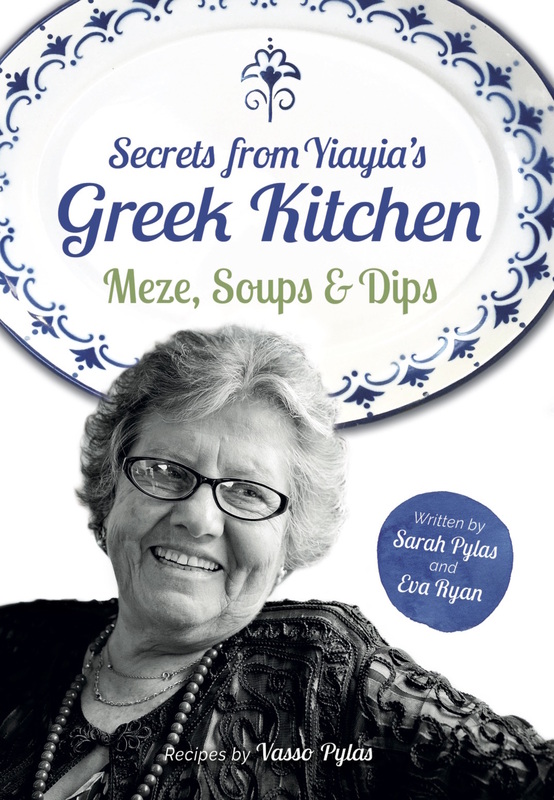 If you are Greek, then the ability to cook over fire is more than a skill to be mastered, it is a birthright. The Greek God(zilla) will jump at any opportunity to pull out the tongs and light up the coals. There is nothing that can come between him and his barbecue; or anybody else’s barbecue for that matter. Having observed the master at work for many years now, I have pulled together the following guide so you too can barbecue the Greek God(zilla) way. Choosing the right BBQ is not important. A BBQ master can work on any fire. It’s all about the heat. Under no circumstances must anyone stick a sausage on the barbie before the coals have turned white, EVER. If you witness a barbecue chef attempt to skip this process, intervene immediately and relieve them of their tongs. Throw in an eye roll for good measure. Be organised slaving over an open fire is hot and thirsty work, so make sure to have a fully stocked coolbox of Keo beer positioned easily within reach. Leave all cooking utensils and necessary serving plates in the kitchen and simply call out for them as and when required. Prepare as much as you can in advance or until you get bored/your friends arrive/the beer has sufficiently chilled. Then oversee all further food preparation duties from the comfort of the garden. Keep the food simple chicken, pork, lamb, sausages and burgers plus a few chipolatas for the kids and the vegetarian. If the vegetarian protests about the sausage, serve vegetable kebab (remember to remove chicken first). Cook twice as many souvlaki as you think you will need. Serve the vegetarian and the gluten-free guest last to make a point that not only do you consider their dietary requirements to be totally ludicrous, but an inconvenience too. Select a good Sous-Chef preferably one who is happy to stand back and admire you at work while passing plates, opening beers and providing witty banter. Declare the area a No-Prosecco zone and then proceed to polish off a bottle. Unless there is a sporting event on in which case insist on the TV/radio being set-up in the garden and punctuate all non-sport related conversations with cheers, jeers, fist pumps and requests for more beer. Declare the feast you have provided to be magnificent before asking all your guests to rate your BBQ skills on a scale of 1-10 including taste, texture and appearance. Accept nothing less than a 9.5, unless you are being marked on one of the salads or side dishes that the tiny fairies magically set out on the kitchen table while you slept off the fizz. So there you have it! All the essential ingredients for the perfect summer barbecue. ENJOY! I have been shortlisted for a Brilliance in Blogging award in the Writer category but I need your vote (many votes) to take me through to the next round. If you could take a moment to visit the official shortlist form and vote for Grenglish, the next round of sausages are on me! This line made me chuckle…perhaps my husband is part Greek?! I have witnessed the man at work and have to say he is the KING of bbq! Anya from Older Single Mum and The Healer recently posted…The Truth about Being an Older Mum. Ha love this-the Greeks are obsessed with BBQ’ing! Brilliant tips! I think we may need to have a BBQ-Off between your Greek man and my French man – who also thinks he’s God of the BBQ having lived in the south of France for most of his life. Deal?